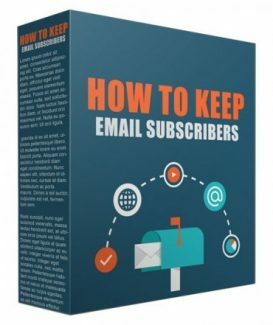 Learn How to Keep Your Email Subscribers! Indeed, the money is in the list. That's why you decided to build your own email list but as you go along, building a list is not just your task that you have to take care of. There is the concern of how to make your list conversion increase and most of all how to keep your list intact or at least you have low number of attrition. Well, if you will look to other business model, attrition is normal but if you will handle your list quite well, you can decrease it numbers and make more money from it.